Renold Conveyor Chain-Asphalt Chain.Renold manufactures the most widely used hot asphalt drag chains that meet and or exceed OEM specifications.Some manufacturers buy component parts and or assembled chains from the Pacific Rim. Renold manufactures all asphalt drag, drum drive and elevator chains from domestically produced raw materials. Renold Conveyor Chain-Cement Chain.All cement grade bucket elevator chains are manufactured with top grade alloy steels. 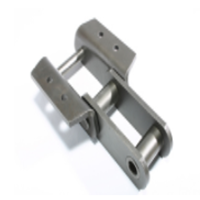 Our side bars are furnished as a through-hardened component, while the pins are both through-hardened and induction hardened for maximum performance. 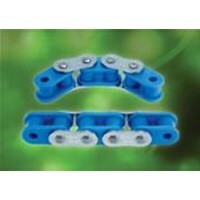 Renold Jeffrey also uses a full round design on both knuckles (bushings) and pins.Sealed joint chains and special coatings on chain components are used for chains designed for harsh conditions. We also produce apron conveyors, hard face drag chains, super capacity elevator chains and other commonly found chains in the cement industry.Renold boasts the greatest engineering and design staff in the industry, with over 110 years of experience. Our technical and trouble shooting capabilities are second to none. 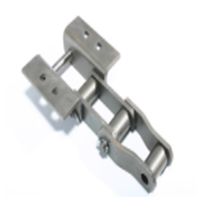 RENOLD stocks common cement elevator chains for immediate shipment - 6956PB (856), 6867R (857), 6864R (864) and 6869R (859).Conveyor Chain. Renold Chain Transmission-SynoThe Renold Syno range sets a new benchmark for roller chain performance in lubrication-sensitive environments. Covering both small and large pitch sizes, Renold has tailored its technology to suit your requirements with a range of different solutions all brought under the Renold Syno name.Whether your application requires a chain to run with little or no additional lubricant, there is sure to be an option available for you.In a range incorporating technology unique to Renold and with designs based on wear and fatigue resistance you can expect improvements to working life, productivity and efficiency that will deliver long term benefits to your operation.Roller Chain. Renold Chain Transmission SynoThe Renold Syno range sets a new benchmark for roller chain performance in lubrication-sensitive environments. Covering both small and large pitch sizes, Renold has tailored its technology to suit your requirements with a range of different solutions all brought under the Renold Syno name.Whether your application requires a chain to run with little or no additional lubricant, there is sure to be an option available for you.In a range incorporating technology unique to Renold and with designs based on wear and fatigue resistance you can expect improvements to working life, productivity and efficiency that will deliver long term benefits to your operation. 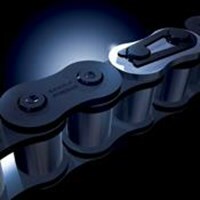 Roller Chain. 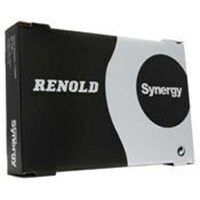 Renold Chain Transmission-SynergyStrong. Powerful. Even Better Performance.Renold Synergy was created to meet a specific requirement of our customers: Improved chain performance resulting in better value.Renold Synergy is the only true high-performance chain on the market. 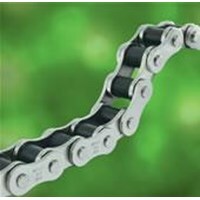 Engineers and maintenance professionals around the world endorse the wear resistance and exceptional fatigue life of this remarkable chain technology. Roller Chain.